RP200 was written and revised in response to the environmental considerations and emerging technology that have prompted the industry to use aboveground tanks to store motor-vehicle fuel. 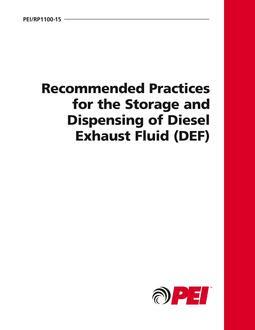 The purpose of the document is to provide a concise reference to preferred practices and procedures for the installation of aboveground storage systems at service stations, marinas and other fueling sites. 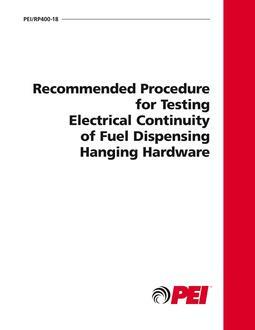 This recommended practice contains chapters and drawings on all phases of proper aboveground tank installation, including site planning, foundations, support and anchorage; dikes; vaults and special enclosures; tanks; pumps and valves; fills, gauges and vents; piping and fittings; corrosion protection; environmental protection; electrical installation; testing and inspection; and documentation, maintenance, and training. Three appendices describe size calculations for dikes, venting, and fire code requirements. An appendix of documents used for reference is also included.